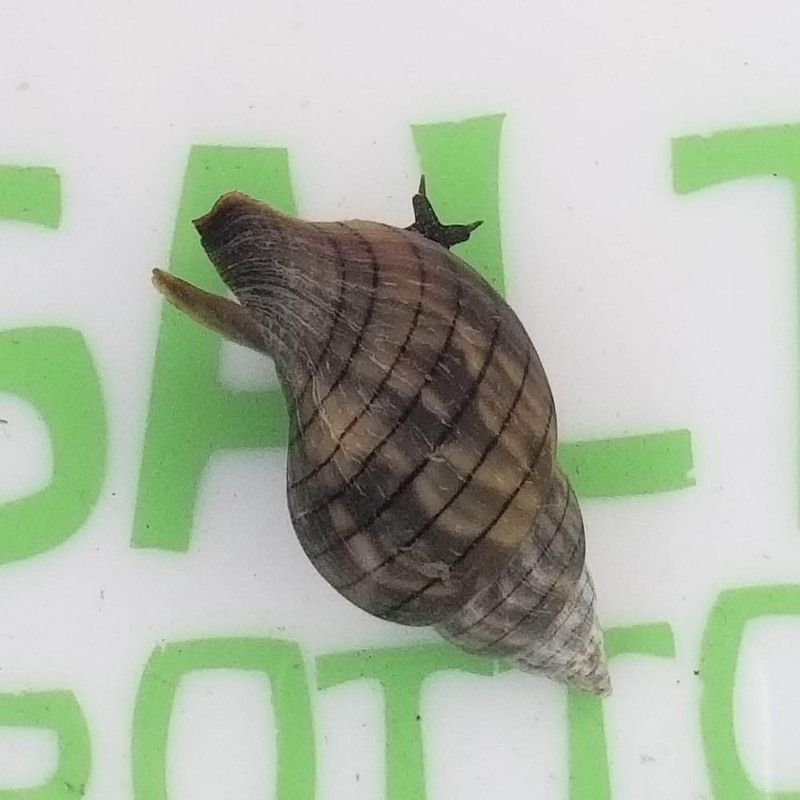 A small predatory snail that feeds on clams. The highly polished shell has a marbleized pattern of grey, brown, and white with distinct purple-brown spiral bands. Females will lay eggs in an aquarium in vase shaped horny capsules. Q: Is this snail suitable for a reef tank?. If so how big will it get? A: I would not suggest it for a reef tank as it is predatory and will eat your other snails. They get very large, over 4".